Casinos seeing more revenue come in could benefit from a money and ticket counter at their locations. Several casinos across the country have seen substantial increases in revenue during the first quarter of the year. According to the Baltimore Business Journal, the MGM National Harbor brought in $141.2 million in March alone, setting a record for casinos across the state. Meanwhile, Detroit's triad of casinos raked in $131.2 million in March, an increase of 5 percent compared to March of 2016, according to Crain's Detroit Business. Pennsylvania's casinos cashed in on some luck, too, experiencing their best month for table games on record, according to NBC. One reason March could have been so successful for casinos is through annual March Madness events. The basketball playoff brackets attract the attention of Americans everywhere. According to the American Gaming Association, consumers bet more than $10 billion on March Madness brackets in 2017. This is compared to the $9.2 billion wagered in 2016. While much of this likely took place in offices, bars and other social places, casinos were sure to capitalize on the trend, offering special March Madness games and events. Another potential impetus of increased casino revenue is the positive direction the economy began the year with. According to CNBC, the Consumer Confidence Index reached 125.6 in March, the highest it's been since December 2000. This surpassed the predicted index of 114. The Consumer Confidence Index is a marker that shows how Americans feel about the economy. The higher it is, the more positive they feel, and the more likely they are to spend their disposable income on recreational or social activities. With so much attention - and money - focused on the tournament, it only makes sense that casinos would play into the hype. Events and new games like these attract more consumers. However, as the number of consumers coming to a casino goes up, more cash, checks and tickets need to be processed. It's important that casino employees and managers keep the business running efficiently, and that means being quick about counting consumers' cash and distributing tickets. A money and ticket counter is perfect for boosting efficiency, especially when casino attendance soars. 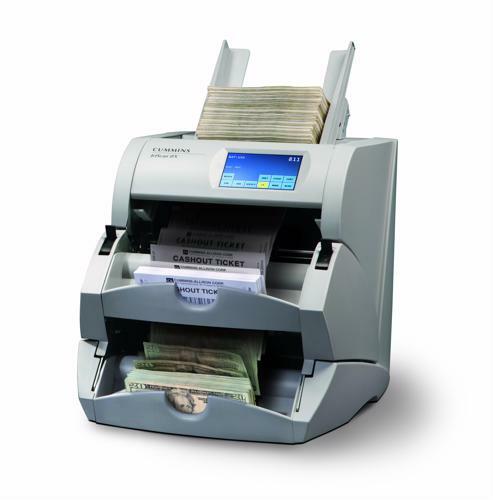 For example, with a JetScan iFX money and ticket counter, 1,200 tickets can be scanned within 60 seconds. And, it can process 400 checks per minute. These two functions can save hours of counting and sorting. Casinos need to be prepared for highly successful months, as they saw in March 2017. By integrating a money and ticket counter into their operations, casino employees can save time and energy and put more focus on serving consumers.